A couple months ago, we were forced into buying a new fridge when ours unexpectedly broke the weekend after Thanksgiving. While having to fork over a decent chunk of change for a new appliance is never a welcomed event, I am glad that we no longer have to deal with the giant white refrigerator with broken shelves and a non-functioning ice maker anymore! Getting rid of the fridge that came with our house was no big deal and definitely didn’t come with any emotional goodbyes, but a new fridge meant a way to start fresh with organizing and de-cluttering our “fridge art.” I have never liked the looks of photos or mismatched magnets all over the fridge, mainly because I’m slightly OCD, and secondly because normal fridge magnets cause a safety risk for grabby kids who tend to want to put anything and everything in their mouths. (Looking at you, Huckles!) 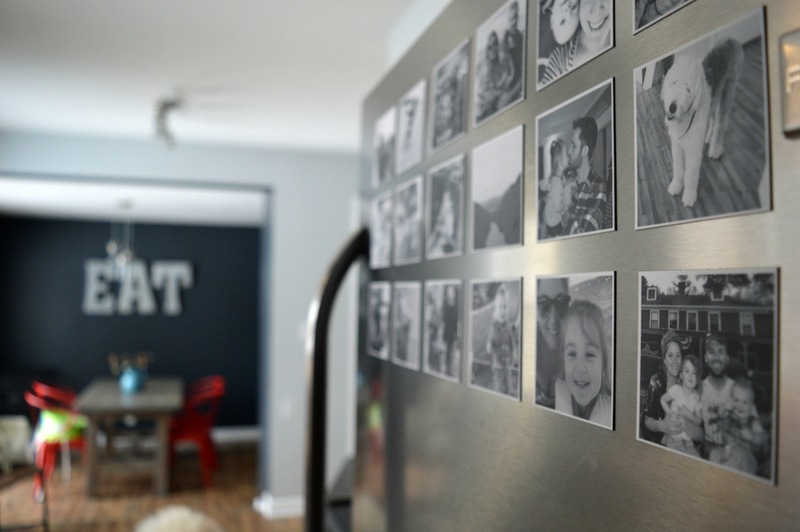 That being said, I was in search of a way to show my favorite family photos and mementos without our fridge looking like an unorganized mess. That’s where Sticky9 came in and saved the day! I was given the opportunity to receive two sets of their large fridge magnets and I absolutely love the personal touch they give to our fridge. I decided to edit all of the photos I selected in black and white to give it a uniform look and prevent any color-clashing with our decor, and I’m so happy with my decision! 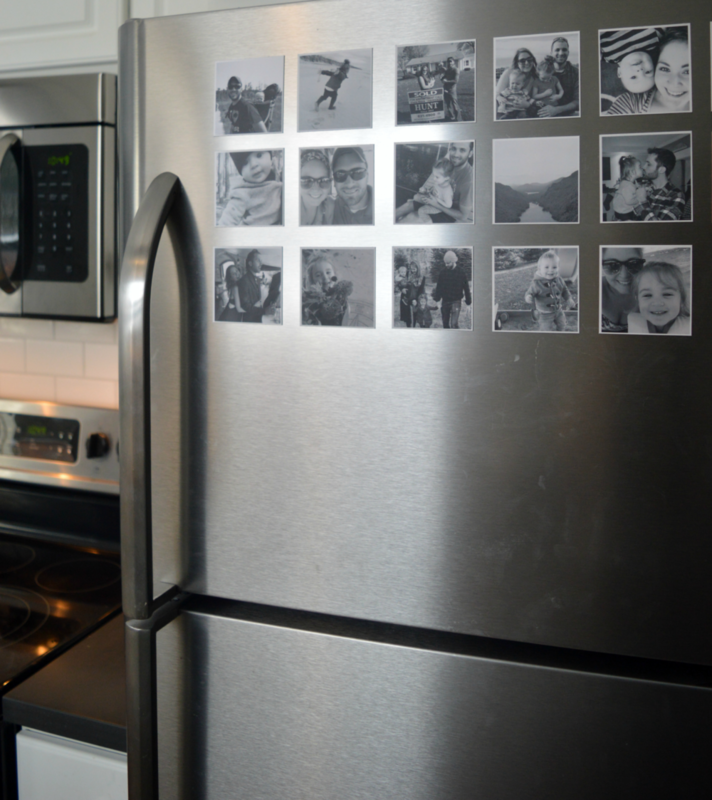 The magnets are fully functional (AKA they hold up all of Marleigh’s artwork and any cards/Save the Dates/invitations we get in the mail), they are safe for the kids to play with, and they’re a great conversation piece in the kitchen! Sticky9 has a lot of great products for photo magnets, including these fun magnet puzzles that I have my eye on, and the best part is you can easily customize them to your choosing! Just upload photos or import them from your social profiles, preview, and purchase! As an added perk, Sticky9 has offered my readers a special deal of 15% off your purchase on their website. Just use code: S9BYTHEGILLS at checkout! Enjoy! Sticky9 provided me with product as compensation for this review.